As the life expectancy and the number of seniors continue to increase in our country, the need to provide aid and support to these citizens should become a priority. By providing this assistance, seniors are enabled to achieve a better quality of life. It is essential to proactively respond to the welfare and needs of our seniors. And because of that, the “Adopt a Senior” Program was created to supplement healthcare for the elderly. 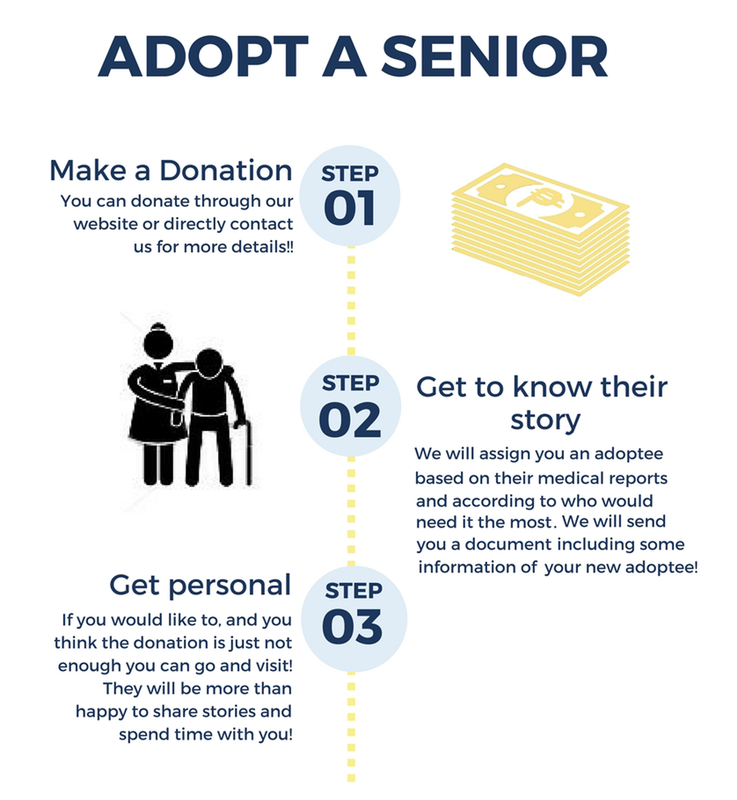 This program allows individuals to sponsor an elderly person by donating an amount which will go to medical needs, health assistance, and check-ups, or it may be used as a reserve fund for any future hospitalizations or emergencies. Individuals will also have the opportunity to meet and interact with their adopted senior, get to know and understand them better, and even exchange stories with them! Let them know that you care!